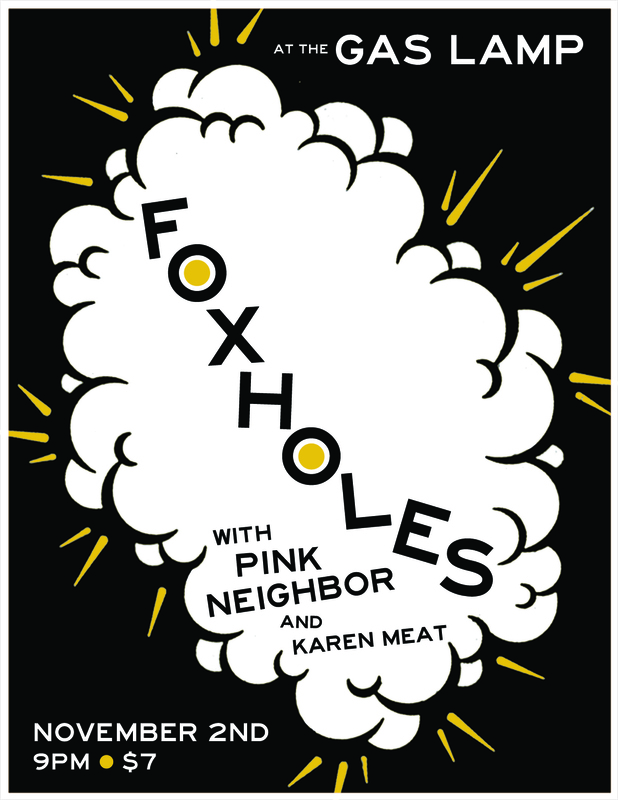 Pink Neighbor is a lounge-folk group based in Grinnell, IA. Comprised of Midwest artists Katie In and Erik Jarvis, their music showcases exceptional songwriting and vocal harmonies. Karen Meat is a pop rock project of Arin Eaton based between Des Moines and Iowa City. The band itself is a moody character, a sequined oversized sweater, crooning melodies and lyrics of a bored generation. She's Drunk Like The Rest Of Us, Karen Meat’s recent November 2016 tape release, steers away from her DSM band (Brad Turk, John Huffman) as Eaton collaborates with her business partner Dana Telsrow. Karen Meat glitters with memorable beats, 60s-girl-pop inspired vocals, guitar solos by Dana, and coordinated outfits. Full band Karen Meat includes releases such as On The Couch (2016), and self-titled Karen Meat & The Computer (2015) - grumpy rock n’ roll songs with a tinge of partying and omnicord, with titles like “Who Cares?” and “Pizza and Beer”. Realistically, pop songs should be fun AND sad. Karen Meat embraces the power of rejection and depression as themes for her music, and her upbeat tunes are gems of sarcasm and truth. Follow Karen Meat on Twitter at @K_Meat for more declarations on how weird the world can seem.